Cartoony, humorous, colourful, bright, quirky. I like a lot of natural light – a north facing studio suits me best. Light seems to help me think. I need my pens, paints, paintbrushes, my propelling pencil and paper. (I just noticed all those things start with p, wonder if that means anything.) Paper includes scrap paper that has been written on one side – I find that my mind ranges more freely jotting down ideas if it’s not constrained by the paper being brand new. A jug of water and a glass. I don’t really have any lucky totems or special ornaments. 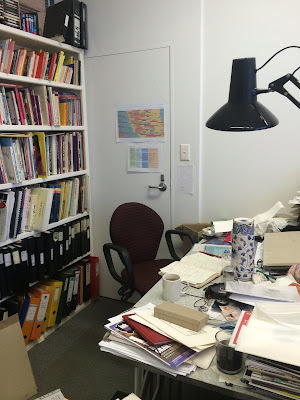 My creative space is always so messy that I think that some kind of messiness might be an essential part too (although it would have to be my mess, I don’t think someone else’s mess would be effective). Tove Jansson, Brian Wildsmith, Maurice Sendak. I love the art from lots of different periods, but I don’t think there have been many historical times that have given women artists much of a look in, or many opportunities. I know I’d get bored after a while listening to the male artists doing all the talking, so I’ll stick with visiting the actual artworks in galleries. Probably Tove Jansson. I adore the Moomintroll books with their combination of words and pictures. As a child I read them over and over again. 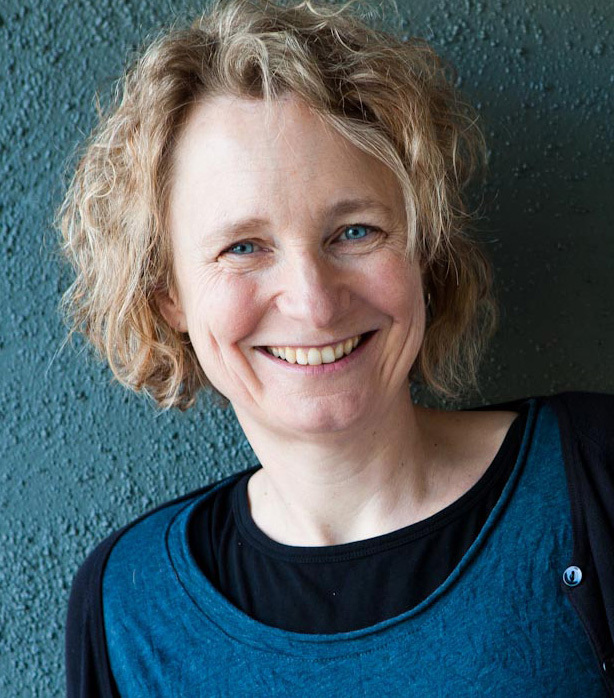 My favourite part is when I get a manuscript that I feel I can bring something special to, and then the process of working out how I will do it – what will go in it and where, how it will all flow, fitting it into the 30 pages of a picture book. It’s an amazingly inventive time where in my head the book is finding the shape it wants to be, the way it wants to be told, the things that only I can bring to it. The final result of this process is the mock-up or storyboard, consisting of little rough drawings showing how the book will be. Look at other people’s work and learn what you can from it, but remember to be yourself. Judy Horacek is an Australian cartoonist, artist, writer and children’s book creator. Her children's books include The Story of Growl, Yellow is My Favourite Colour, Good Night, Sleep Tight, and the popular Where is the Green Sheep?. 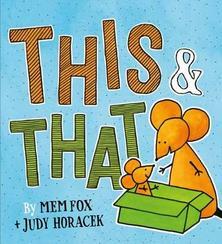 Judy's most recent book is This & That, written by Mem Fox and published by Scholastic Australia. Visit Judy's website and Facebook page for more information about her books, cartoons and other creative projects.